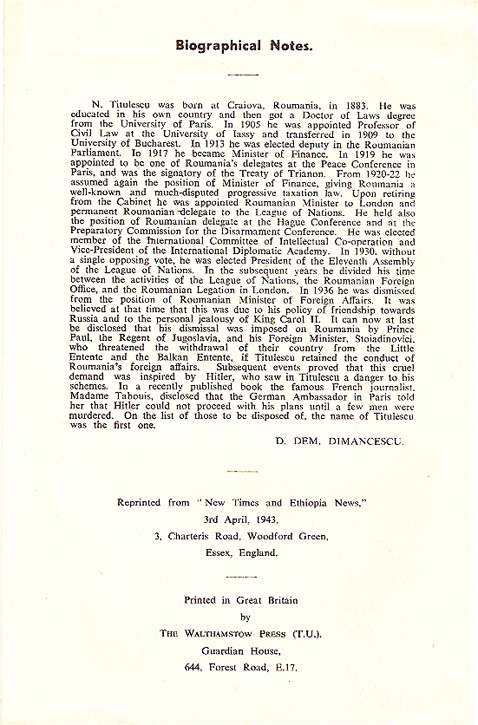 Note of Interest: The New Times and Ethiopia News was published by Sylvia Parkhurst. Because she had government wartime quotas of paper she published articles on various topics and was very favorable towards Romania. This allowed D. Dimancescu to publish numerous articles on Romanian views.